The Heights Of Being Identical? 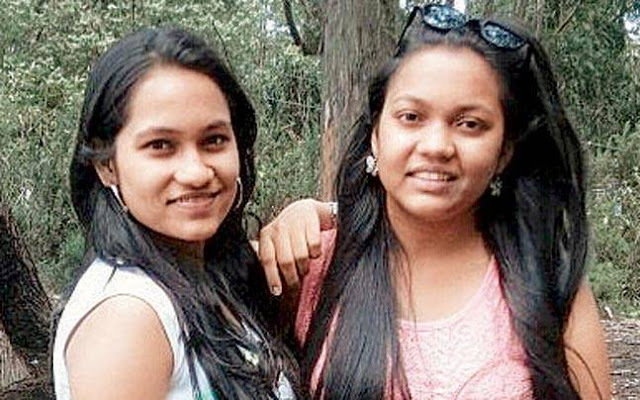 Gurgaon Twins Score The Same Marks In CBSE Class XII Exam! Ankita and Harshita Chauhan, twin siblings from Gurgaon, Haryana have a lot in common, quite literally. The 17-year-old siblings who appeared for the class 12 CBSE exams this year came out with flying colors. Both scored the exact same marks, 93% each. This is not the first time they ended up scoring the same marks. The duo, both science students, had scored equal marks in the Joint Entrance Examination (Main) 2016. However, they couldn’t qualify for the advanced examinations. They will now join the same college in Chennai to study software engineering. “We cannot get over the fact that our results are same. Neither can our parents believe it,” said an excited Ankita. “Ankita worked very hard and was expecting a higher score than me in the board examinations, but our father used to say that we will score equally. When we opened the result, we were in shock to see that he was right,” added Harshita. The girls who say they study together were neck to neck in every subject, with a score of 95 in both Physics and Physical Education. While Harshita scored 87 in English, 93 in Chemistry and 95 in Maths, her sister Ankita scored 93, 95 and 87 respectively. “I do not know how to react. It’s amazing as well as shocking. The two have always supported each other and their results reflect the same,”said the girl's father Chauhan, who is a civil engineer.